﻿ Marine Aquarium Hobbyist Survey - Have Your Say! Marine Aquarium Hobbyist Survey – Have Your Say! Are the fish entering the hobby really the fish the hobbyist wants? The knowledge gleaned from this survey will give suppliers a chance to better understand what matters most to hobbyist. 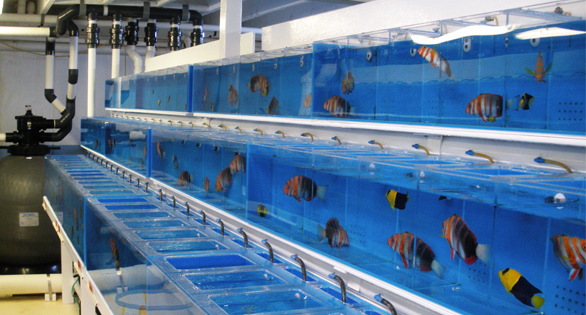 and the Marine Aquarium Trade Research group. Have you ever gone into your local fish store intent on acquiring a new addition for your aquarium, only to leave empty handed and disappointed? It is indeed a frustrating experience I can definitely relate too. But who is really at fault for such an experience? The local fish store? Their supplier? The overseas exporter? Or am I to blame, as the hobbyist, for not effectively communicating what it is exactly I am wanting to purchase? I suspect the crux of the issue is the complicated nature of the marine aquarium supply chain. Hobbyist feedback can often only go so far by word of mouth, and the vast number of suppliers/exporters makes it impractical, if not impossible, to contact them all directly. While there is an industry wide call to improve the aquarium trade’s sustainability, part of making the trade more sustainable is ensuring the fish arriving at your local fish store or online retailer fulfill the needs of the hobbyist. But the industry needs to know what those needs are! I would personally like to invite all marine aquarium hobbyists to have their say and let the industry know what is important to them when purchasing a fish. Directly below is a short five minute survey, the results of which will be published, shared throughout the marine aquarium industry, and made accessible to the public. Please complete the survey below and help us make a better marine aquarium industry for all to enjoy! Editor’s Note – This survey is not being conducted by CORAL Magazine; This survey is being conducted by James Cook University, National Fisheries Authority PNG, and the Marine Aquarium Trade Research group. See the survey for further disclosure / disclaimer information. This is not a CORAL Magazine survey. Thane Militz is a project scientist at the Australian Centre for Pacific Islands Research based at the University of the Sunshine Coast. Thane's research focuses on sustainable development of mariculture within the Pacific and the marine aquarium trade. I love the intent of this survey… When can we expect the results and how do we access them? As an industry insider, the results are VERY important to me. Please let me know where to watch for the published results! Marine Aquarium Hobbyist Survey - Have Your Say! I love the intent of this survey... When can we expect the results and how do we access them? As an industry insider, the results are VERY important to me. Please let me know where to watch for the published results!